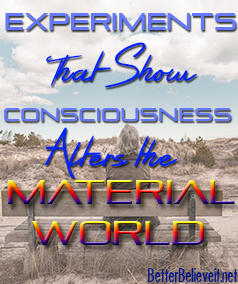 Experiments That Show Consciousness Alters the Material World - Better Believe It! Many people think that thoughts, prayers, beliefs, intentions and other forms of consciousness are just invisible constructs of the mind with no real power to change the world of matter. However, scientists have found that that just isn’t true. For a long time, science has been based on the Newtonian model where matter is the basis of our world. But then quantum physicists discovered that when you delve down into atoms, at their basis they are energy – spinning vortices of energy with spin and vibration. Matter, in its smallest observable form is energy. Human consciousness is also energy, and these energies are connected. Consciousness can influence the behavior of matter and even re-structure it. Scientists now know that the world isn’t just a hodgepodge of solid matter arranged in different ways, but rather, an entangled bunch of energy waves. 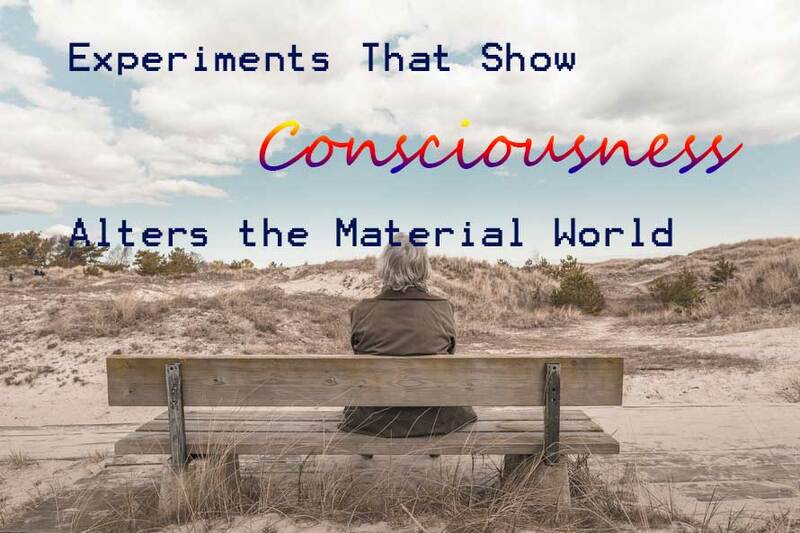 So here is a list of some experiments that prove consciousness can affect matter or the material world. This experiment is quite well-known and widely discussed, so I won’t go into details. But just to do a brief recap, the experiment was first performed in 1909 by Geoffrey Ingram Taylor, a British physicist. But since then, the experiment has been repeated numerous times, all with the same results. The experiment involves projecting quantum particles through a barrier with 2 slits in it. When an electron is projected through a barrier with one slit, it behaves as a particle – t goes through the slit and is recorded on the other side as if it had traveled in a straight line, as you would expect a particle to do. However, when two slits are used, it starts as a particle, of course, but then it does something amazing: it passes through both slits at the same time, as only a wave of energy can do. To accomplish this, the electron has to somehow perceive that there is a second opening available. However, an electron can’t really “know” anything, so the only source of that awareness comes from the mind of the observer. The conclusion here is that somehow the knowledge that the electron has two possible paths to travel through is in the mind of the observer, and the observer’s consciousness is what determines how the electron travels. There are several proposed theories to explain the results of this experiment. The Copenhagen Interpretation (Neils Bohr and Werner Heisenberg) states that the universe exists as an infinite group of overlapping possibilities. The act of observation “locks onto” one of these possibilities and makes it become reality. Awareness is what turns a possibility into reality. The “Many Worlds Theory” explains the results by stating that, at any moment in time, there are an infinite number of possibilities occurring, and that all of them are already existing and happening simultaneously (alternate universes). We travel along one universe until sometime when we make a “quantum leap” and jump into one of the alternate universes. There’s a bit more to it, but you can search online and read more about it (it was proposed by Hugh Everett in 1957 at Princeton University). You can also look up the Penrose Interpretation proposed by Sir Roger Penrose. So basically, what we focus our intention on, or what we are aware of, determines what manifests in reality. Practitioners of Transcendental Meditation (TM) have performed numerous studies whereby a group of meditators meditates on peace in a particular area. Reported crimes and violence were then collected during the time the meditation was taking place. All the studies showed a marked decrease in violence and crime while the meditators were meditating, but when the meditation stopped, the rates rose again to their normal levels. You can read about 13 of these studies in the article “Preventing crime through the Maharishi Effect” in the Journal of Offender Rehabilitation. 2003;36(1/2/3/4):257-282. An excerpt is provided here. The studies were analyzed to determine how many people would have to collectively meditate on peace to make a statistically-recognized effect on crime levels, and it was determined that the number was the square root of 1% of the population of a given area. 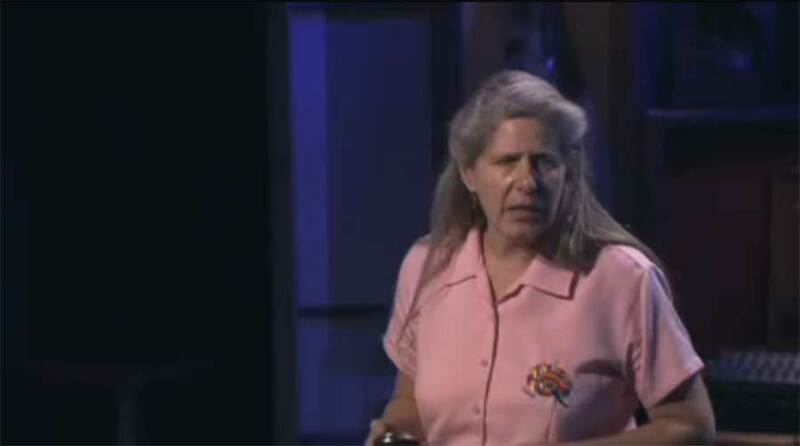 Lynn McTaggart is an author of 6 books, including The Field and The Intention Experiment. She designed a number of experiments to determine whether a “group mind” has the power to increase peace and cooperation in war-torn areas around the world experiencing high levels of conflict and violence. Her website is at http://www.theintentionexperiment.com/. When I checked, the website was down for maintenance, but you can read more about it here. You can read about the results in Washington D.C. here. The U.S. Government has performed various experiments that lend credence to the idea that consciousness can affect physical matter. Psychokinesis (PK) is when physical matter is affected by physical means, or without physical force being applied. People might remember when Uri Geller became famous for his alleged ability to bend things like spoons using psychic energy, but Geller was an illusionist by trade. Jack Houck was a systems engineer for Boeing, and he conducted experiments on supposedly paranormal phenomena. He had “PK Parties” where he taught a technique and where many of the participants, by following his techniques, were able to physically bend items like forks or spoons without using physical force. He describes his research here. You can see some videos here. His method is detailed here. The U.S. Army ran a program of remote viewing for several years, and some believe it is ongoing. Remote viewing does not generally effect a change on physical matter, however, but it does allow one to sense or view people, places and things at distance locations. Other countries are known to have also used this technology. Results are mixed, but results do occur. It has been estimated that an experienced remote viewer can expect an accuracy rate of 83%. The Air Force Research Laboratory published a report in 2004 on teleportation physics that says how PK and other phenomena have been subject to rigorous testing and documentation. You can read that for yourself. Dr. Robert Jahn and his assistant spent a lot of time and effort performing experiments to determine if the mind has an effect on the physical world. Research at The Princeton Engineering Anomalies Research (PEAR) Laboratory has concluded that the mind does in fact have a subtle capacity to influence the output of devices known as Random Event Generators (REGs). In essence, consciousness was having an effect over the physical world. Basically, they built machines that operated like randomly flipping a coin to heads or tails. The machine performed 200 flips per second and produced an average mean of 100 as one would expect (50/50 chance of either heads or tails). However, when they put an observer in who intended for the numbers to go higher or lower, the results deviated from the expected more toward where the observer expected it to go. 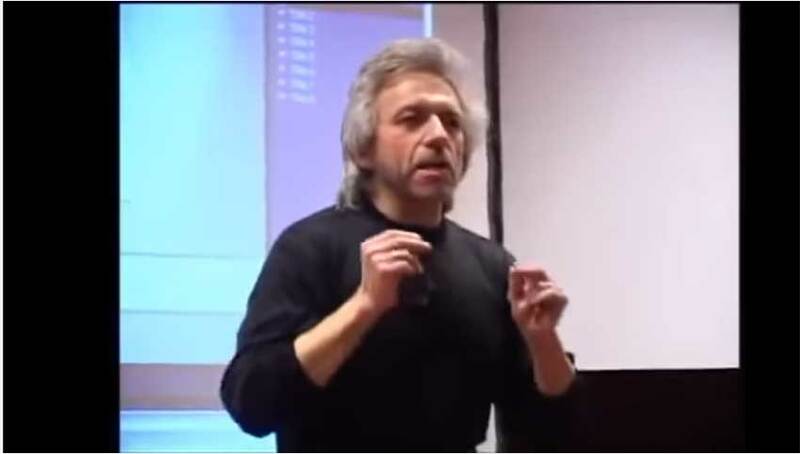 Dr. Konstantin G. Korotkov, professor of physics at St. Petersburg State Technical University, has been studying the human energy field and is claiming that people can change the world simply by using their own energy. He has concluded that states that when we think positive and negative thoughts, each have a different impact on our surrounding environment, including on our own bodies. I wrote about his work here. The placebo effect is when someone gets better physically simply because they believe they will, even though they are not being given any medicine or treatment. All drug trials have to account for this effect, as it is very common. Sham treatment won’t shrink tumors or cure viruses. But I’ve read several accounts where belief alone has cured tumors. Bernie Siegal has told of some of his patients who have done that. Also, Lissa Rankin, M.D. describes the case of a man with cancer who believed he would be cured by taking a certain drug. The story was originally reported in a 1957 case study by Dr. Bruno Klopfer reporting the story of Dr Philip West and his patient Mr Wright. Mr. Wright had advanced lymphosarcoma. But Mr Wright desperately wanted to live, and he hung his hope on a promising new drug called Krebiozen. He begged his doctor to treat him with the new drug, but the drug was only being offered in clinical trials to people who were believed to have at least three months left to live. Mr Wright was too sick to qualify. But he didn’t give up. Knowing the drug existed and believing the drug would be his miracle cure, he pestered his doc until Dr West reluctantly gave in and injected him with Krebiozen. Dr West performed the procedure on a Friday, but deep down, he didn’t believe Mr Wright would last the weekend. To his utter shock, the following Monday, Dr West found his patient walking around out of bed. According to Dr Klopfer, Mr Wright’s ‘tumour masses had melted like snowballs on a hot stove’ and were half their original size. Ten days after the first dose of Krebiozen, Mr Wright left the hospital, apparently cancer-free. Then scientific literature began reporting that Krebiozen didn’t seem to be effective. Mr Wright, who trusted what he read in the literature, fell into a deep depression, and his cancer came back. This time, Dr West, who genuinely wanted to help save his patient, decided to get sneaky. Dr West then injected Mr Wright with distilled water. The tumours melted away, the fluid in his chest disappeared, and Mr Wright was feeling great again for another two months. Then the American Medical Association blew it by announcing that a nationwide study of Krebiozen proved that the drug was utterly worthless. This time, Mr Wright lost all faith in his treatment. His cancer came right back, and he died two days later. Read more stories of placebo effect results here.